Hi YABC! 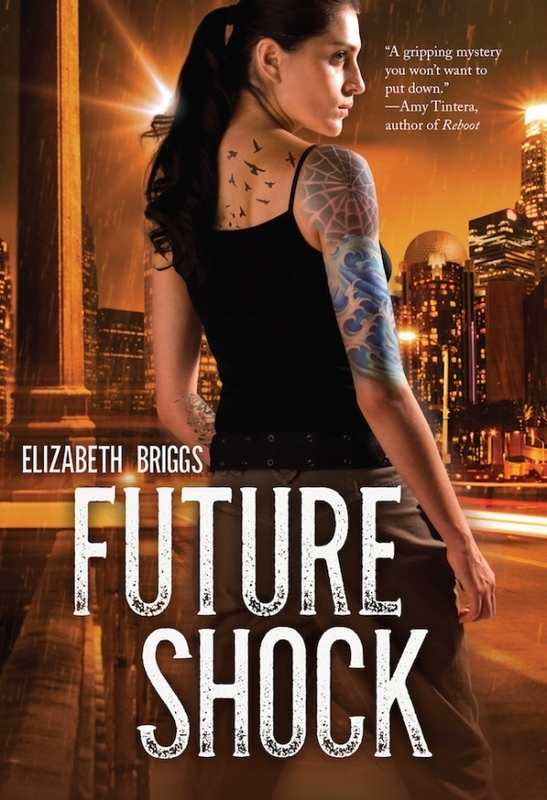 I’m Elizabeth Briggs and I'm so excited to share the FUTURE SHOCK cover with you! When my editor at Albert Whitman sent me this cover, I was completely blown away. 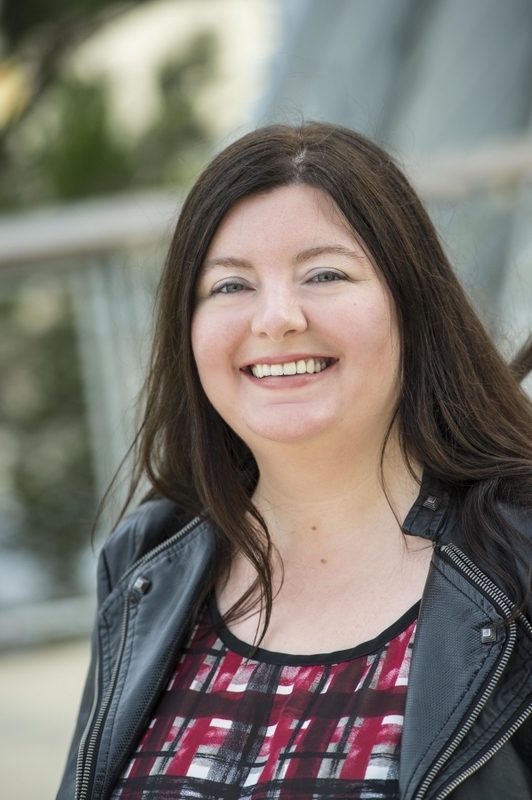 I was thrilled to discover they’d hired a photographer and a Latina model to make sure that Elena Martinez, my Mexican-American heroine, was represented properly on the cover. Plus, she’ll be on the cover of the sequel too! The attention to detail on the cover is truly stunning, and I’m so impressed by what they came up with. Elena looks fierce and determined, and her tattoos are exactly as they’re described in the book, from the flowers on her inner arm to the birds flying across her back. Behind her, you can see the rainy, futuristic Los Angeles she time travels to (in fact, the office building I used to work in is on the right!). When I wrote FUTURE SHOCK, I was heavily inspired by the sci-fi noir feel of the movie Blade Runner, and I think this cover perfectly captures that! I hope you love it as much as I do! Five winners will each receive a signed ARC of FUTURE SHOCK (when available). Love the cover and anything time travel, so I'm in! Really excited to read this one!!! The cover is awesome and the blurb, wow! Awesome cover! Exciting idea! Can't wait to read. The cover and plot is brilliant!!! This sounds really exciting! The girl's bird tattoos remind me a bit of Tris from Divergent. Looks and sounds great! Can't wait! The cover is to die for! Would love to look like that! Love the cover. Looks like a real interesting read.